Offsite framing is one of the construction industry’s growing trends, and it’s going from strength to strength with its ever-expanding adoption. 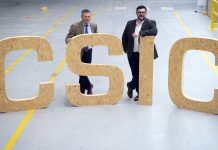 Both the government and the Construction Leadership Council (CLC) have highlighted offsite manufacturing as a way to increase construction productivity and reduce costs. 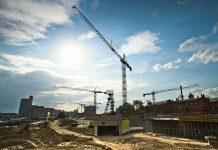 Faster on-site construction means government construction targets could be met more easily and building projects would be less affected by adverse weather, while a shorter on-site programme is also more cost-effective. Metsec’s pre-panelised system, Metframe, is an extremely competitive offsite building solution when compared against the cost of timber and volumetric construction. Metframe delivers a high-quality building but, importantly, a major key benefit is speed of build, with Metframe structures taking under two weeks per floor to construct. It can be used to provide the load-bearing structure for low to medium-rise structures, up to 15 storeys. Metsec recognises the importance of peace of mind, hence the investment in over 200 tests across our SFS range, which now has more system testing data than ever before. With our fire performance data tested or assessed by the UK’s leading test centre – the BRE – we also calculate acoustic and thermal data to give the additional reassurance end clients are calling for. The offsite construction of buildings, building elements and structures is currently worth around £2bn-£3bn per year and accounts for around 2% of the total construction market – a market share increasing by 25% per year. 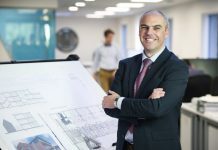 Five years ago, the government, in partnership with the industry, set out its strategy for change in Construction 2025, which focuses on erecting buildings that create lower emissions, can be delivered quickly and cost less to build and run over their lifetime. Fabrication of individual steel pieces takes place offsite under controlled, highly regulated, safe factory conditions; digital design and leading-edge fabrication systems deliver precision-engineered components with minimum waste. 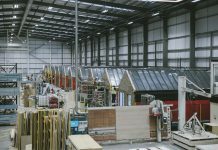 Offsite framing techniques are playing their part in delivering this vision, with the numerous benefits ranging from cost and space savings to speed, health and safety, quality and sustainability. Cost: Savings are achieved through waste reduction and the speed of build that the system allows, with offsite framing structures such as Metframe regularly taking less than two weeks per floor to construct. 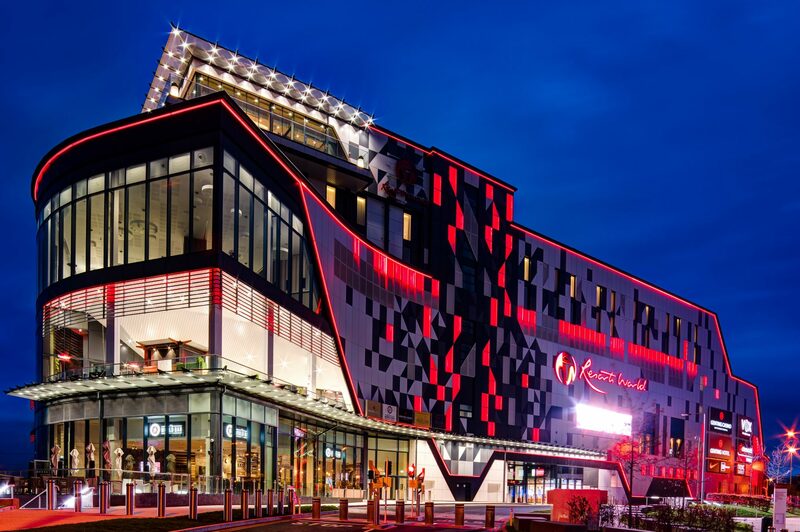 Space: On construction projects where access and space are limited due to the proximity of other buildings or natural features, offsite framing offers a practical and safe solution. Speed: Offsite framing projects are programmed and constructed around 20% to 30% faster than traditional construction, which allows tight deadlines to be met more easily, while disruption to clients and the local community is minimised – a particular benefit in the case of a school or hospital. Health and safety: The factory environment of offsite construction eliminates the variables of weather and visibility, and hazards such as falls from height and equipment accidents. Sustainability: This is at the forefront of offsite framing systems such as Metframe, which offer zero waste and a low carbon footprint. Work in the factory can be scheduled to start at the same time as the site is being prepared, so the two processes can occur in parallel, resulting in an accelerated build programme. 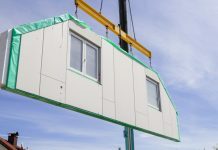 Offsite construction generates up to 90% less waste than site-based building methods, according to WRAP. 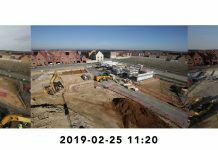 Meanwhile, there are up to 90% fewer vehicle movements on site compared with a traditional construction project – reducing noise, dust, congestion and carbon emissions – according to Mtech. Quality: Stringent factory quality control, better working conditions and automation mean offsite-fabricated elements are made to a higher quality than the site-fabricated equivalent. Despite all these benefits, however, there is currently no industry standard to quantify them and allow clients to make a measured decision. The Construction Industry Research & Information Association (CIRIA) is currently working with its members, other industry organisations and leadership groups to produce a guide that allows the benefits of offsite construction to be quantified. Most assessments are made through the client’s tender process on a case-by-case basis. This may not always allow an easy comparison between approaches on a particular scheme, however, or identify all the available benefits and act as a record for future projects. Cost of defects per £000 of contract value. Actual programme timescale vs contract programme – noting time from starting onsite to practical completion and then actual completion. Net construction cost per m2. Total project cost per m2. The Construction 2025 vision is clear, and it is up to us in the industry to rise to the challenge and lead the transformation to improved productivity and the ambitions of government. 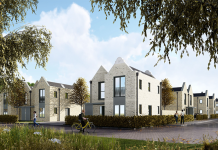 A faster onsite programme means government construction targets can be met more easily – crucial when it comes to fighting the current chronic housing shortage in the UK. The stable long-term nature of construction jobs assists in training a specialist workforce, while manufacturing employment helps communities that might not benefit directly from investment in construction or infrastructure projects. 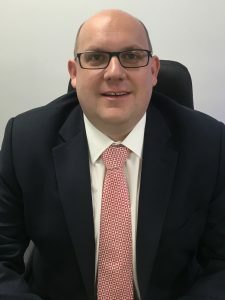 The success of the Offsite Management School reveals a shift in thinking in the construction industry, with major competitors coming together, contributing money and expertise, to ensure that the supply chain is best positioned for the future. 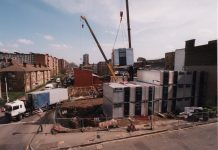 If offsite framing and construction are to be a major part of the future, it is up to us as an industry to inform and educate prospective clients to the advantages, while at the same time helping the government meet its targets and objectives for both construction and the overall UK economy. Why is CPD so important in the construction industry?